TekMonki » Just as I’m finally getting into @beatsmusic . 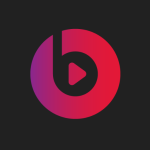 . .
Just as I’m finally getting into @beatsmusic . . .
Apple slowly starts to devour it’s acquisition and do who knows exactly what with it. something Google Play Music has been doing for some time now with a pretty amazing “radio” feature to boot.